BERLIN: When Hungarian actress Franciska Farkas revealed that she was Roma four years ago, there was ‘of course’ a negative reaction, she said, but also received letters from girls belonging to the persecuted minority declaring her their new idol. Many Roma who are in the public eye in Hungary, which has one of Central Europe’s largest minorities at 800,000 people, never reveal their identities. With ancestral roots in India, the Roma migrated to Europe in the 10th century and have a history marked by persecution. There are some 11 million Roma living across the continent, particularly in Romania, Bulgaria, Hungary, and Spain. Roma communities are usually poorer, less educated and have lower life expectancies and employment rates than the overall population. In Hungary, they have been openly vilified by the far-right who blame them for crime and insecurity. While Roma women are not represented in any of the European Union’s national parliaments, they are coming to the forefront in arts and theatre to reclaim their public image.“I want to be a role model,” Farkas told the Thomson Reuters Foundation, walking by the river Spree in Berlin, where she is rehearsing for her next project. Farkas, with a new generation of Roma artists and actresses across Europe, is trying to encourage young Roma women to feel proud of their ethnicity, to embrace feminism, challenging negative stereotypes. To mark International Roma Day on April 8, Farkas is one of 13 Roma actors and artists descending on Berlin to take part in the first Roma Biennale – a series of art exhibitions, theatre performances and music events organized by the community. Berlin has become a focal point for activism since last year’s opening of the European Roma Institute of Art and Culture, an international creative hub set up to reduce prejudice towards the Roma. It is headed by two women. “Human rights progress concerning Roma generally is impossible without significant advances in the field of Romani women’s rights,” said Aniko Orsos of the European Roma Rights Centre, which litigates to combat anti-Romani racism. “Romani women continue to face pressure from society to comply with certain customs and traditions, degrading to women,” the women’s rights officer, who is based in Budapest, said in emailed comments. Participants in the Biennale’s main performance, the majority of whom are female, include Romanian playwright Mihaela Dragan and the Selimovic sisters, Austria-based actresses and rappers. 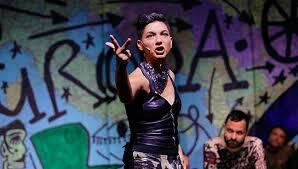 At home in Vienna, she uses her feminist theater company Romano Svato to challenge stereotypes of Roma women by assuming roles that are not traditionally feminine such as rapping or sometimes playing men on stage: once she played famous Sinti-German boxer Johann Trollmann – the Sinti are a Romani group, living mostly in Germany and central Europe. The Selimovic sisters also debunk stereotypes in Roma Armee, which has been running at Berlin’s Maxim Gorki Theatre since September. 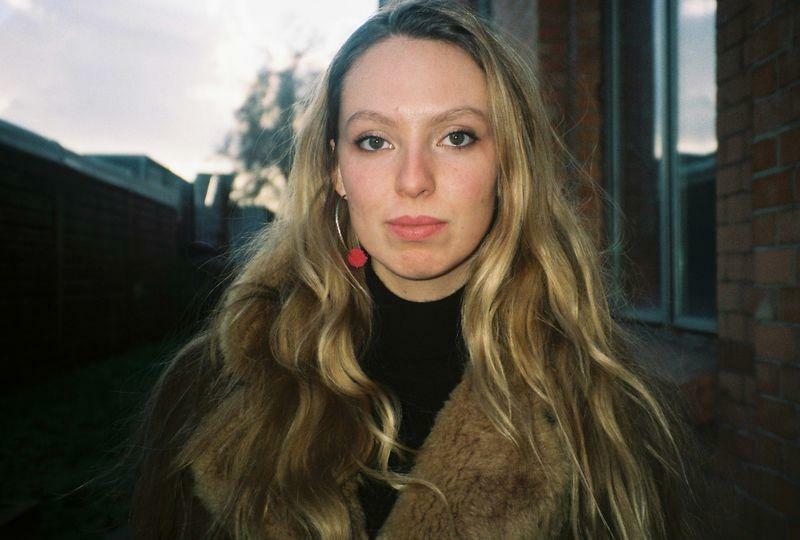 Riah May Knight, an actress in the show, who will also participate in the Roma Biennale, watched villagers in England burn an effigy of a Romani caravan when she was a child. She still remembers the cardboard children melting in the fire and the crowd shouting, “burn them!” on Britain’s annual Bonfire Night celebrations. When her mother reported the incident to the press, their home was targeted by far-right groups, with faeces posted through their letterbox and insults scratched on their car. “Racism against Roma is the last bastion of acceptable racism,” said the 21-year-old actress, singer, and songwriter.